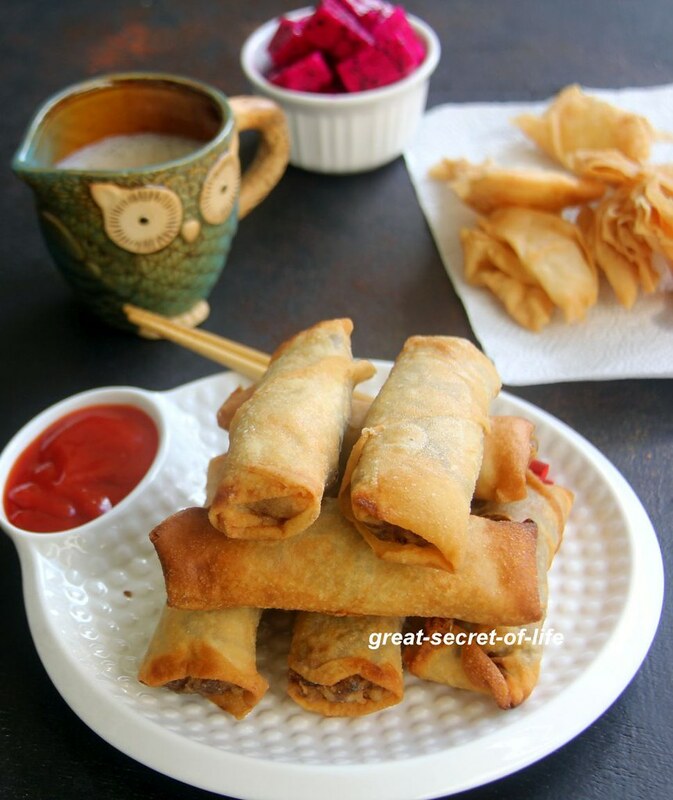 I have posted Vegetable Spring roll in my blog before. 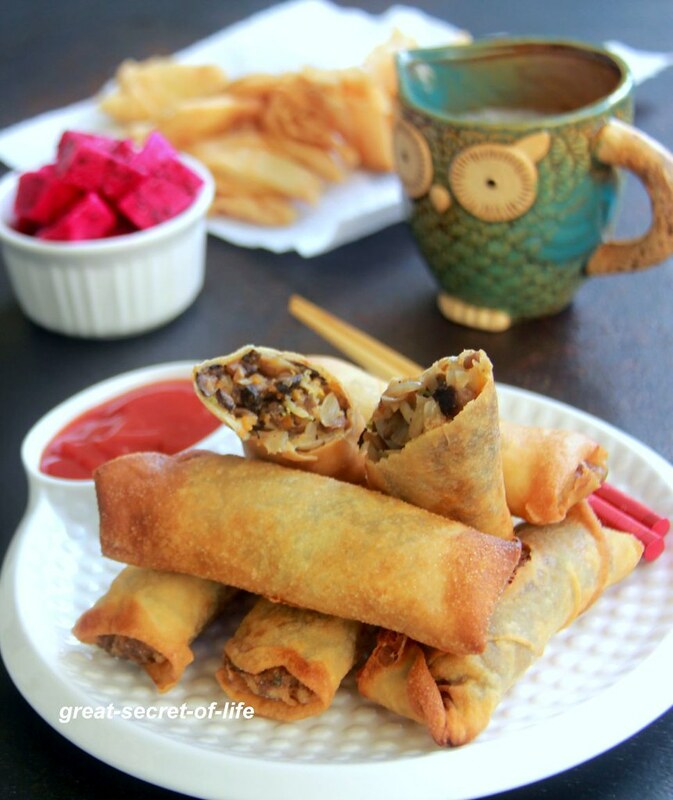 This is one of my tea time recipes, especially on weekends. This time I wanted to try a different stuffing. I added mushrooms and some sprouts. Since there is not much masala in it, I decided to add Peanut powder. It came out very nice. Perfect for the weekend. Or you can prepare it in the morning and freeze it till evening for an after-school snack. The same stuffing can be used for a bread sandwich, too. Let's make the stuffing first. Heat olive oil and add onion. Fry until brown in color. Remove it from pan and keep it aside. In the same pan add cleaned and diced mushroom & salt. Cook it. When three-fourths cooked, add other vegetables. Continue to cook. When halfway done add peanut powder, soya sauce, and adjust the salt & pepper. Mix well. Continue to cook. Add fried onion mix well. Switch it off. 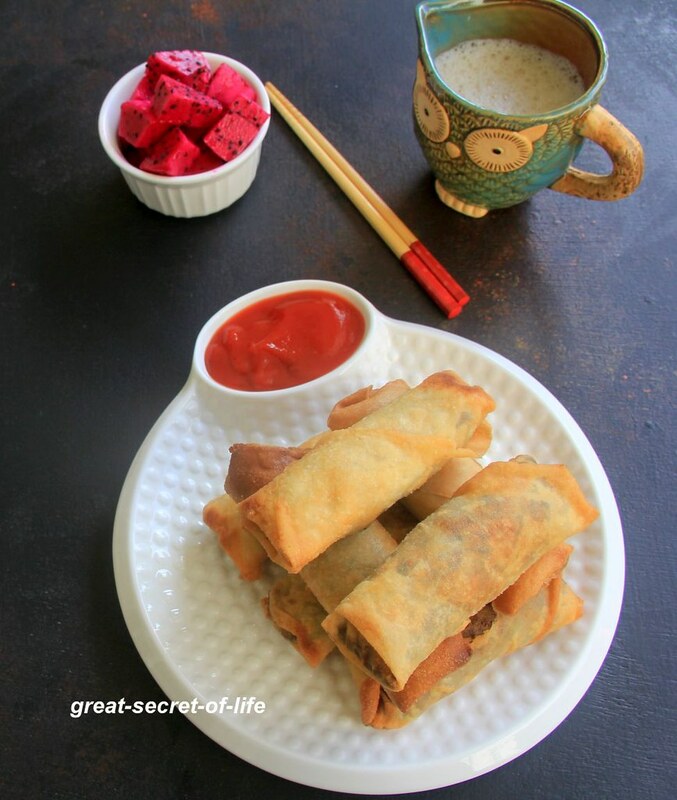 Thaw the spring roll sheets to room temperature. Take one sheet and place the stuffing at the corner. 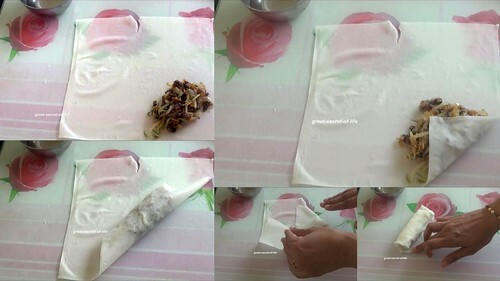 Fold it in as shown in the video or below in the picture. Prepare all the rolls and freeze it for 30 mins. Heat oil for deep frying. When oil is hot place the rolls carefully. Cook until all the sides are brown in color. Turn in at regular interval. Drain extra oil and take it out. Place it on a kitchen tissue paper.